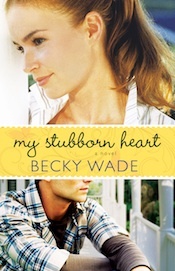 Debut Novel by Becky Wade "My Stubborn Heart"
This is a great debut novel. It is a charming story about the ups and downs in life. Kate has always wanted to be someone's wife but unfortunately has chosen the wrong kind of men to date. Matt has lost his wife who he loved deeply. Through their trials in their lives they have both lost faith in life and in God. The book was engaging but there was one things that well made me go hmmmm. I really felt the inclusion of some of the language was inappropriate and definitely other wording could have been used. It was only in two sentences but definitely made me go hmmmm! It didn't make me put the book down but I do realize this is her first novel and hopefully in future sentences like this will be edited out. Enter today by clicking one of the icons below. But hurry, the giveaway ends at noon on May 24th. Winner will be announced at the "My Stubborn Heart"Author Chat Facebook Party on 5/24. 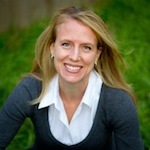 Becky will be hosting an book chat, testing your trivia skills and giving away some great prizes!